The first Gate4SPICE workshop organized by VDA QMC China lowered its curtain in the evening of 23 May, 2018 at Shanghai Hongqiao PRIMUS Hotel successfully. With 40 attendees from Bosch, Continental, Delphi, Hella, Kostal, Schaffler, Valeo, etc.. Besides the presentations from Methodpark(Prof. Dr. Hindel) and Volkswagen(Ms. WANG Qi), there were also group discussions after between speeches, although all discussions are with English, all participants in this workshop were very active to join and share their thoughts. 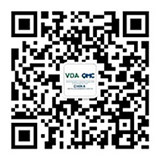 The next Gate4SPICE workshop was planned in July, 2018, for more information, please scan and follow us to get the latest news from VDA QMC China. Please click here for the agenda and introduction of the first Gate4SPICE Workshp. Please click here to download the presentation of Prof. Dr. Hindel. You can always get the latest information about our SPICE events and trainings by visiting our website: www.vdachina.com.cn, call +86-10-65900067 or send your request email to spice@vdachina.com.cn.